Monday & Tuesday - are the only two days I was able to survive myself for the Hunger Challenge week...then came my birthday on Wednesday and it was impossible for me to further continue as the birthday cake itself was more than $10. I should have realized that before I took up this daunting task ..but well, atleast I had a chance to participate for two days which made me realize how difficult it is to sustain oneself on a $4 food stamp per day. ..I made this 'Chickpea and Potato Curry' on Tuesday for the Hunger Challenge. Heat oil in a saucepan, add cumin seeds and let them splutter. Add chopped tomato and cook until mush. Mix cubed potato into it and cook until tender. Mix chickpeas, turmeric, salt, garam masala, chilli powder to the potato mixture. Add water and let the curry cook for 8-10 mins on medium-low. It can be served with rice or any kind of bread. Here are my advanced Dussehra wishes [September 28th 2009] to you all ..:). 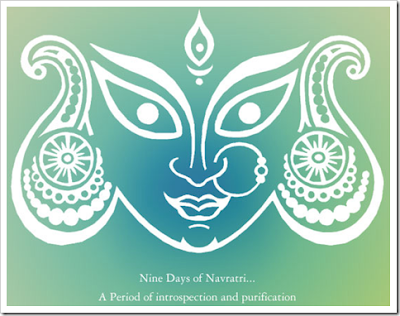 May Goddess Durga bless one and all. Hey, Siri! Are you going to do NaBloWriMo with us again? 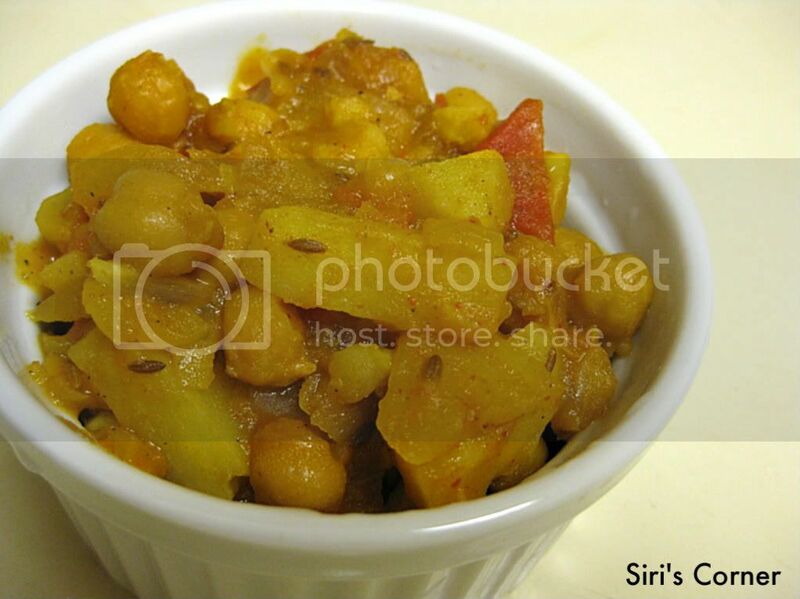 I never remember to add aloo to chole - looks yummy!